Exposed the Strata Dip. Looking towards Bolsover on the Arkwright Opencast. As Recorded in the Area and explained hopefully correctly by myself. This list is a theoretical list of seams, a seam may be washed out and missing replaced by rock, faults may also have displaced seams. Seams in descending order from the surface. HIGH MAIN OR UPPER SILKSTONE. MAIN BRIGHT or FOX EARTH. TWO FOOT or SOUGH COAL. Split seam. FURNACE or LOW BRIGHT COAL. TOP HARD COAL or BARNSLEY............................TOP HARD COAL. 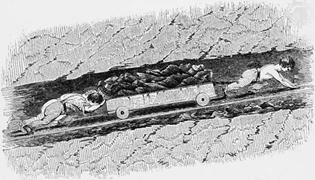 FIRST ELL COAL or SUTTON COAL. SITWELL or DUNSTON...............................................CLAY CROSS SOFT. SECOND PIPER......TOWNEND THIN, PANCAKE, PIPER or PARKGATE COAL. LOW TUPTON.........................................................TUPTON COAL or LOW MAIN. THREEOUARTER, TUPTON THREEQUARTER or LEES COAL. ASHGATE or BRAMPTON THIN. (Top leaf called hand coal). UPPER BRAMPTON or MICKLEY THIN. LOWER BRAMPTON or WALKERS COAL. KILBURN or GRENOSIDE SANDSTONE COAL. BELPERLAWN OR SOFT BED COAL. 1]. UNNAMED ABOVE THE TOP HARDS COAL. 2]. MEASURE AND BALL or INKERSALL RAKE ABOVE THE TOP HARD COAL. 3]. UNNAMED BETWEEN TOP HARD AND DUNSIL COAL. 4]. GORSEY KNOLL or REDFERN RAKE BETWEEN DUNSIL AND SECOND WATERLOO. 5]. 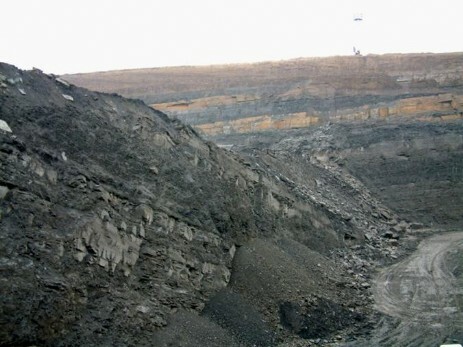 STRANG RAKE ABOVE FIRST ELL COAL. 6]. BUFF or CEMENT RAKE BETWEEN CHAVERY & SECOND ELL COAL. 7]. PINDER PARK RAKE ABOVE CHAVERY COAL. 8]. POOR RAKE ABOVE DEEP HARD COAL. 9]. SPRING or RIDDINGS RAKE BELOW PIPER COAL. 10]. DOGTOOTH RAKE ABOVE THE COCKLESHELL OR TUPTON SEAM. 11]. THREEOUARTER BALLS ABOVE THREEOUARTER COAL. 12]. BLACKSHALE RAKE ABOVE YARD OR SILKSTONE COAL. 13]. BACKONFLITCH RAKE ABOVE KILBURN COAL. 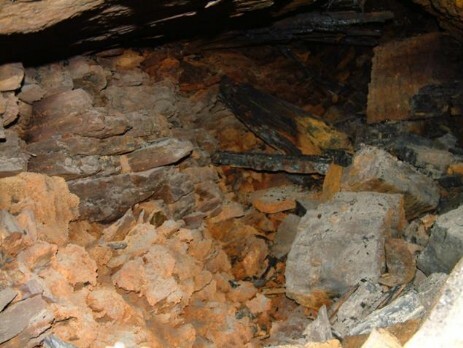 1,5,7 Mined chiefly in the Chesterfield area. 11 in Clay Cross. 6,8,9,13 in the Alfreton area. 10,12 mined in all areas. The Blackshale Rake was by far the most important. Ironstone, Clay and other minerals are to be found layered between the coal seams.